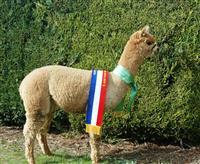 MillDuck Horatio was a consistent performer in the show ring from a junior through to Senior Classes. This boy is the complete package with excellent conformation, density, relative fineness for his age and an excellent well-defined fleece – which is still holding its structure as a mature male. His Dam MillDuck Edna Walling (solid black) was no slouch having won Reserve Champion during her show career – back when it was very rare for a black to win broad ribbons at an Age Championship Show. Horatio’s Sire, Fine Choice Ultimo, was imported from Peru and needs little introduction having won numerous Supreme Championships during his showing career. Horatio passes his traits onto his progeny – in particular great conformation, fineness, density and structure. He throws colour, producing med-dark fawns from white girls, through to dark brown and black cria from coloured females. 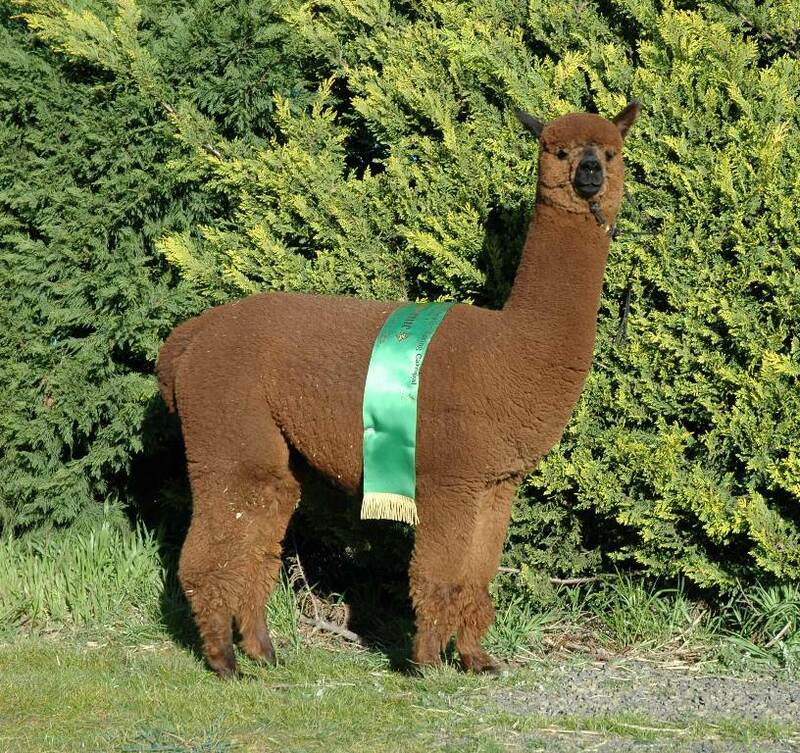 Horrie’s genetics generated keen bidding at the Wyterrica clearing sale which saw some of his progeny being purchased by successful Australian Alpaca Studs along with two daughters being exported to England. Below is a snapshot of the show performance of some of Horrie’s progeny. 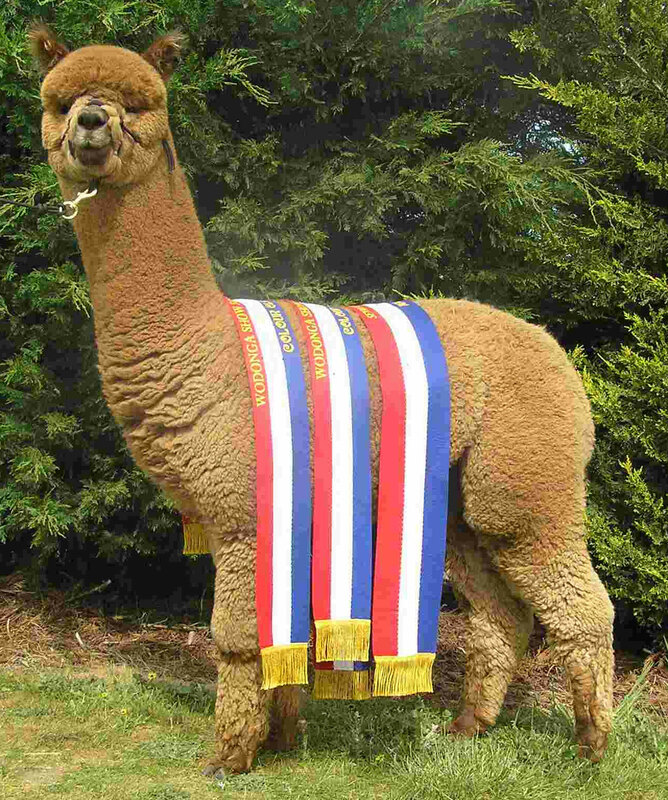 One of KoKo’s sons, MillDuck Maddox, won 11 Broad Ribbons including Supreme Brown at a Coloured Show and Reserve Champion Intermediate Male at the 2010 AAA National Show – quite an achievement for a brown! Kristie-Lou is proving to be an excellent breeding female consistently producing quality progeny. She is the dam of MillDuck Oregon who has won numerous broad ribbons including Best Brown in Show at the 2012 & 2013 AAA National Show. Oregon also won Supreme Brown at Colourbration.